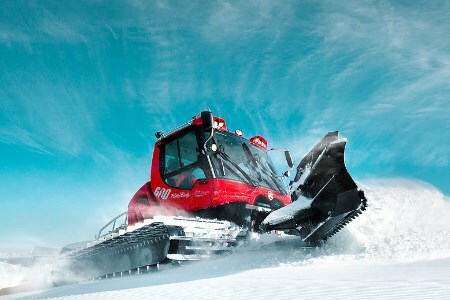 PistenBully is providing new online training for snow groomer drivers and anyone wanting to expand their knowledge of the technology, controls and maintenance of specific snow groomer types. Once Level 1.0 training for beginners on the company’s PRO ACADEMY has been completed, access to the Level 1.1 training is available anytime and from anywhere – via smartphone or tablet, for example. Further Level 1.1 training courses will be available online soon for other vehicle types. Level 1.1 online training is intended for all snow groomers who want to learn more about the correct usage, technology and regular maintenance of the vehicles. It is currently available in four languages (German, English, Italian and French) and can be accessed at any time. Prospective snow groomer drivers will gain comprehensive basic knowledge of a specific vehicle, making it easier for them to enter the jobs market. The course participants receive a certificate once they pass the test, as proof of the knowledge they’ve acquired for future employers. The PRO ACADEMY online courses can be accessed here.